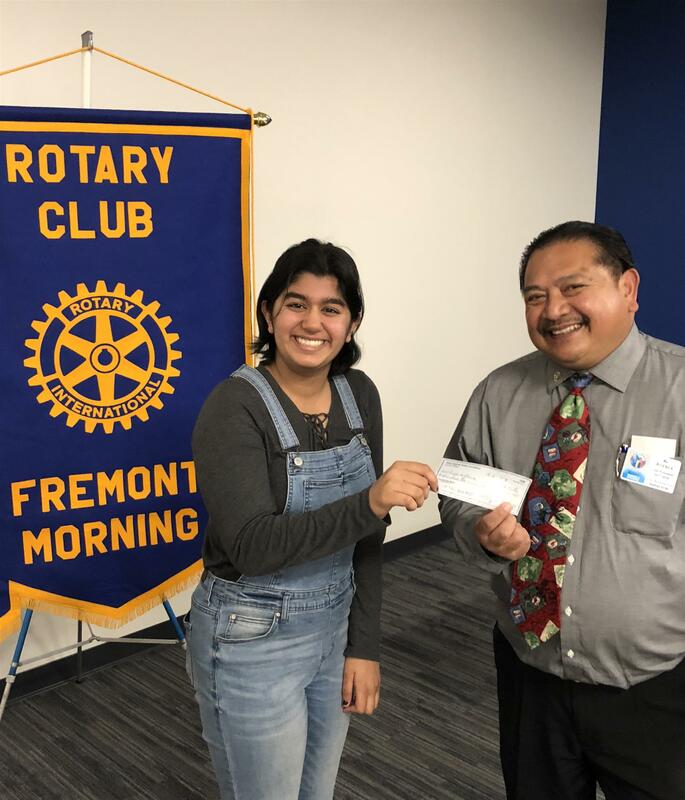 Riya Kataria, a sophomore at Irvington High School, has been selected as our Club’s representative in this year’s District 5170 Speech Contest. Her speech, titled “Picture Perfect” used this year’s Rotary Theme “Making a Difference” to describe how women make substantial contributions to both society and their closest friends. She has also started her own non-profit organization dedicated to bringing speech and debate education to those who cannot afford it. She is pictured receiving a $100 award from our Club President Al Atienza. At her high school, she is active in speech, theatre, music and is a member of her Rotary Interact service club. She now moves on to compete at the Rotary Area and district levels. We wish her well.